Such thoughts run in the minds of many of the elders living in the old age homes or other forms of assisted living facilities. Taking care of one’s elderly parents is not something that any child would consider a burden, but tapping on the ever changing social dynamics and emerging sandwich generation, the option of assisted living is at a rise. The edge of choosing of an assisted living facility lies with the fact that there is more focused care and attention provided to them. The staff is trained to provide help in case of emergencies. There is always someone around them, keeping them company. They also have All this may sound extremely fancy and easy choice especially when you have the responsibility towards both your own parents and children. However, for an elderly this is the time which they would like to spend with their children and grandchildren. There are many like Rekha who crave for their family to be around them in this phase of life, when they have reduced to a stage of absolute dependency: both physically and psychologically. The lack of connectivity from family is something they miss out most. Thoughts of being deserted by their loved ones often trigger a trail of negative thoughts about self, others and the world. No sooner it becomes a vicious cycle, making the person vulnerable to depression. Changes in social role greatly influence the elderly. Be it retirement or lesser participation or contribution to familial matters, these transitions does have an impact on them. Their family is the only one they look out for. When elderly parents stay with their family, the upper hand is the love, support and satisfaction of having their family members around them. There have been studies that have shown how the very presence of family has a positive influence on the general well-being of the seniors. Intergenerational family relations seem to be of special relevance. It gives them the strength and courage to overcome the hurdles of old age . Their familiar surroundings comfort them, providing them with contentment and happiness on a deeper level. The above two stories bring to fore the 2 contrasting lives, each reflecting what our elderly parents undergo. Both the situations have their own advantages and disadvantages, each impacting their lives at a different level. The ideal situation is to live in one’s own home and community safely, independently, and comfortably, surrounded by loved ones. However the most important thing is: every elderly should age gracefully. Whether they are in an assisted facility or in home, our elderly parents should have independence, and outlets for social and meaningful engagement, which helps them find a purpose in life. 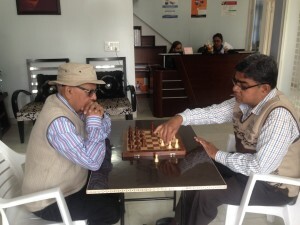 Samvedna Senior Care was established in October 2013 with two complementary goals – firstly to provide quality home care services to seniors with limited mobility and social interaction due to various constraints, and secondly to facilitate stimulating community interaction and participation. We also have services for Dementia care. Our skilled and passionate team of Care Specialists and Activity Centre facilitators, with training in gerontology and clinical psychology, has experience in working with senior citizens from multiple cultures and countries. 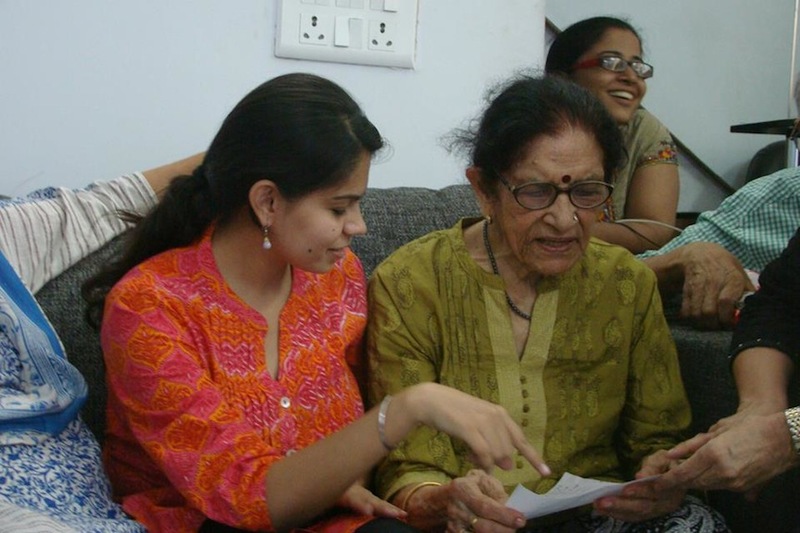 The aim of this service is to raise the quality of life of seniors, specially those who may have limited mobility and social interaction due to various constraints. Our interactive programme keeps them engaged through physical, mental and social activities, all in the comfort of their home. It also includes hospital visits, medical management and assistance with banking and other tasks. Our trained Care Specialists are dedicated to providing the highest quality intellectual care to people braving Dementia. Based on personal interaction, our Care Specialists plan Dementia intervention activities, with the aim of keeping the mind of elderly stimulated and engaged.